I watched a great documentary this week : Our Daily Bread (Netflix). Then I read "Meat & Poultry", The business journal for meat and poultry processors (big Boys stuff), I don't really know where I should start my review : McStrategies or how McDonald's is striving to become a dining destination (told you scarry) or the review of the Thermix System from Armmo Inox who produces over 3,000 tons of product in a day !!! or (my favorite) Adding Value : Brines and Marinades infuse value and desirable attributes in protein products. !!! Some good news : the manufacturers are paying close attention to eating and dining trends and more of them are making marinated products without phosphates and allergens !!! meaning it was done not that long ago ?? and the trends are toward shorter and cleaner labels without chemical sounding additives !!! Then the part I did not really understood : Natural meat flavors containing collagen bind water but do not present an allergen issue as long as you use the same species [i.e., pork flavor in marinated pork] ???!! Am I hallucinating or what ??? So not only you are buying meat from an animal that has been raised in filthy conditions, eating a vaste array of antibiotics, hormones, steroids and the list go on, then slaughtered in stressfull inhumane ways now let's inject some really creepy stuff called natural flavors and sell it for more because it is "natural"!!!. Yup this is what food manufacturers called following the trends !!! I am so happy my farm is an old fashioned establishment. Thank you and see you All bright and early on Saturday. I found a great web site ; http://nourishedkitchen.com/. In February they launched a 28 days Real Food Challenge where participants (900 of them) learned how to feed themselves and their families with real food. I found the idea brilliant !! The site gives new comers to Real Food a lots of tips and recipes .. you need to check it out : just brilliant !!! Hopefully, and I have serious doubt about it, Spring is around the corner and soon the market will have a cornucopia of colors and this will be a good time to start your Real Food Challenge. 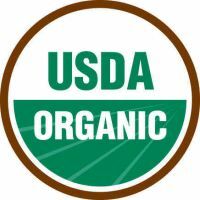 Another good reason to be serious about Real Food is the last FDA food recall of a common flavor enhancer that could be contaminated with salmonella bacteria. The product, is called hydrolyzed vegetable protein or HVP. This crap is in everything !!! Your Real Food Challenge is just coming easier because if you stop buying processed food containing HVP and HFCS (high fructose corn syrup) you will probably cut 80 % of the process food out there !!! In the meantime and to go with your Real Food Challenge if you need/want/feel like doing some great outdoor exercising I need help, come for the day (Sunday through Thursday) great workout and you will have a first taste of Real Food and you will help my farm and help me catch up. In the 1920, some 60 breeds of chickens thrived on American farms, today ONE hybrid, the Cornish Cross, supply nearly every supermarket. In the 1940, confinement-rearing became the dominant form of production for the poultry industry and Cornish Cross the bird of choice. Since then the conventional poultry industry has genetically modified them for rapid growth, efficient feed conversion, large breasts, limited feathering (for ease of plucking) and other traits considered desirable for rearing 15,000 birds in filthy conditions in a wharehouse. Because of all those genetic modifications, they reach a market weight of 5lb in 6 weeks !!!! Those poor birds grow so fast that their body can not follow : they die of sudden heart faillure, they are prone to joint and ligament problems, their bones are simply not strong enough to support their weight, their immune system is compromised leaving them susceptible to disease (therefor the use of large amount of antibiotics), they are also not good at foraging (they can not really stand on their legs !! ), their meat has poor texture and the taste .. well you know : Inexistant. The result is a Frankenchick, I have seen them and it is not pretty and you dont want to know what they are fed with !!!! Our broilers are derived from an american and european old heritage breed that was developped in the 60's to meet the high standard of the french "label rouge". We raise them in 12 weeks on pasture. When I was growing up in Switzerland, chickens was the Sunday roast, my Mom had to order it from the butcher, in advance, that in turn was working with a local farmer that would process what was "ordered". It was not squared in shape, we did not pick it up from a window and it was not cheap BUT I still remember them !!! and the crunchy skin and the legs are still my favorite parts. The chicken was not processed in an "inspected facility", it was not washed with chlorine, it was not irradiated, it was not added "natural preservative", salmonella sounded like a fancy italian ice cream and you know what ??? Happy New Year and thank you for coming along. I read label of everything I buy !!! and I am still amazed each time I do it ... At this point I dont buy anything that has more than one line in the ingredients whick makes my life easier : no more processed food !!! Aspartame, monosodium glutamate and others (see below). These neurotoxic chemical additives directly harm nerve cells, over-exciting them to the point of cell death, according to Dr. Russell Blaylock. They're found in diet soda, canned soup, salad dressing, breakfast sausage and even many manufactured vegetarian foods. They're used to add flavor to over-processed, boring foods that have had the life cooked out of them. A great movie to watch for those using aspartame is "Sweet misery" (instant download at Netflix) and for those of you that do not use aspartame : watch it ... just to make sure you will never use it !!! Most people don't know that the chicken they eat is laced with arsenic. Why do your chicken contain arsenic ?? because in the United States, most major poultry producers add an arsenic compound known as roxarsone to their chicken feed. Inorganic arsenic is a Class A carcinogen that has been linked to heart disease, diabetes and declines in brain function. Recent scientific findings show that most Americans are routinely exposed to between three and 11 times the Environmental Protection Agency's recommended safety limit. The poultry industry has been using the feed additive roxarsone -- purportedly to fight parasites and increase growth in chickens -- since the FDA approved it in 1944. Turns out that the arsenic additive promotes the growth of blood vessels in chicken, which makes the meat appear pinker and more attractive in its plastic wrap at the grocery store, but does little else !!! Eating local is easy as long as you are willing to give it a try and the challenge is not finding the produces but what to do with them !!!! Last Saturday, at the market, I got 2 different greens from Drangonfly Fields, same thing I would have never thought of buying them if it was not that they grow locally and were freshly picked. and you never know going to the market what you will be bringing home. Now you are making all that effort to buy local, one last point : make sure it is local, know your farmer, know what is growing in your area and when and if you really dont find it locally and really need it make sure it is grown in this country. One of my good friend spent the long Thanksgiving week end at the farm. It was her 3rd Thanksgiving at the farm and the first one where all the food was local/organic. At b'feast I was bragging about the real butter I was finally able to buy, at the market, from a local diary (Ocheesee Creamery), butter from happy cow that actually eat grass and enjoy the sunshine and she kept on complaining how hard it was to spread and how much easier and convenient the "butter" she buys is !!! Yes I put "butter" in bracket because for me anything one molecule away from plastic deserves brackets. then we talked about price, $7 for 1 lb. I can only relate to the pseudo european butter that I was buying before for $3something for 8oz. Hopefully that butter was between the horror story above and the Ocheesee'one so price wise not that far from each other. Little note ... it is hard to spread so you dont use much of it !!! One of my client at the market told me that if you are "allergic" to chicken eggs proteins duck eggs are a good alternative as their proteins are not the same ... just when I was starting to think that an egg was an egg !!! So I did some research and I could not find confirmation of it but I found a study about the nutrition of a duck eggs versus a chicken eggs ... look at it : pretty amazing !!! "At first, most flavors were natural. ... chemists began to find ways to create these molecules entirely in the laboratory. .... Today, vanilla is the world's most popular flavor, and thousands of tons of vanillin are synthesized from industrial petrochemicals and waste from the production of wood pulp. There is no molecular distinction between synthesized vanillin or vanillin extracted from vanilla beans, but the way the molecule is made determines whether it will be advertised as "natural or artificial". .... The flavor industry has long resisted the public disclosure of its formulas, and so monitoring the safety of the chemiclas in them is complex, After extended negotiations, the FDA and the industry agreed to maintain a list of compounds "generally recognized as safe", the use of which companies are not obligated to reveal. " for the full article : The Taste makers by Raffi Khatchadourian, NewYorker 11/23/2009. This week I watched "The Botany of Desire" really nice and interesting, available on PBS or Netflix. Remember unless to know the farmer who raise/grow the food you are eating, you have no idea how it was raised/grown. The "vegetarian diet only" on a carton of eggs (or a chicken) only means that the hens were not fed crushed bones from a dead animal. Let me tell you there is nothing less of a vegetarian than a chicken !!!! My hens spend their entire day scratching for bugs and yes bugs are meat and they eat a lot of it !!!! it also means that this chicken has never been outside ... scratching the concrete floor of their warehouse definitively makes your chicken a vegetarian. Free range only means that they were raised on the floor (instead of cages) does not mean they were ever outside. The USDA definition of free range only request that somewhere along the wall of the "building" there is a door !!!! I just posted on our web site a great article about chicken broth. If you buy our chicken make sure to make some with the carcasse. If you have not watch Food Inc. yet, it is now available on Netflix.